Sugarcane bagasse is considered a by-product of the sugar-alcohol industries. However, in the last few decades, this biomass has been used mainly for energy generation. Considering the widespread uses of sugarcane bagasse, the authors begin with a focus on detailed information about the main producers of sugarcane and world availability for its plantation. Different approaches for extracting the cellulosic and hemicellulosic fractions are also described. Next, the impact of certain production variables on the yield and surface area of sugarcane bagasse derived activated carbon are investigated. The physicochemical properties of the produced activated carbon including pH, moisture content, fixed carbon, volatile matter and ash content are also investigated. Efforts aiming at the utilization of lignocellulosic materials as alternative sources of chemicals and energy have been increasing due to the concern about growth of CO2 emissions. As such, the authors discuss recent advances in biotechnology and the development of the biorefinery concept which have expanded the possibilities of bagasse application. The authors go on to discuss the advances made so far for the biotechnological conversion of bagasse to biofuels and useful chemicals in order to determine which further efforts are yet required to establish the fermentation of sugars derived from bagasse on an industrial scale. Bagasse fiber is composed of comparable amount of lignocellulosic cell materials, therefore it has a high potential to be utilized as a promising economic and eco-benign alternative to gasoline. 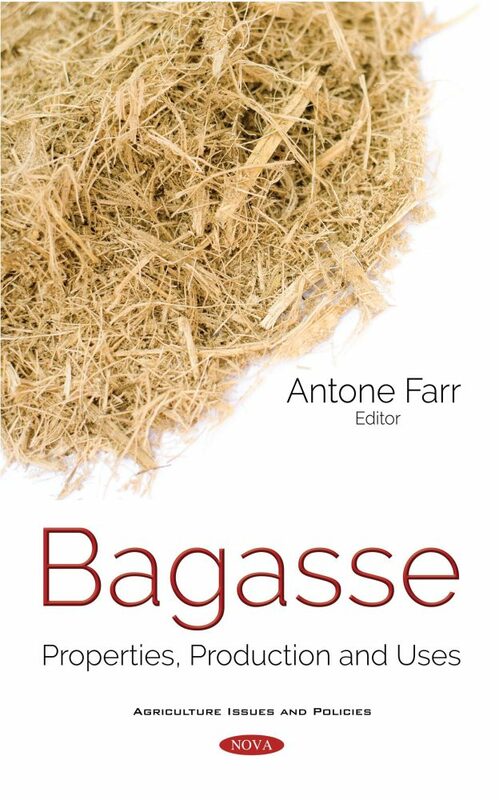 Current proposals for the diversification of traditional uses of bagasse and lignocellulosic biorefineries are analyzed, with emphasis on sustainable biofuels, organic fertilizers, human food and livestock, from the point of view of production and marketing. Necessary strategies for their management that allow for sustainable use as feedstock are also discussed. Lastly, the authors study the gasification of sugarcane bagasse through the theoretical description of the process, analysis of environmental impacts and computational simulation of the gasification of bagasse and straw using a non-stoichiometric chemical equilibrium model.